I’m going to give chip carving a try. We’ll see how it goes. I promise to post practice boards .. even if they’re embarrassing. 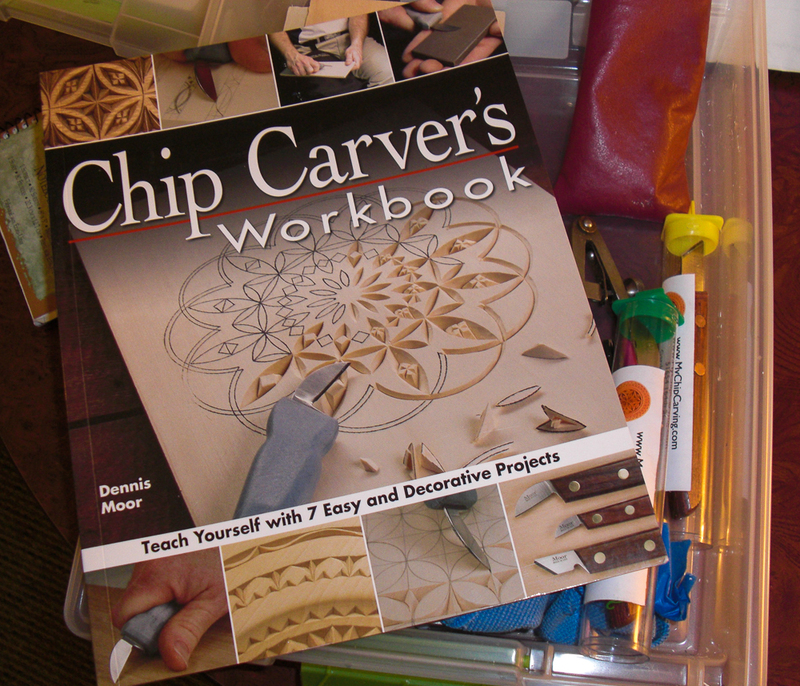 Wayne Barton’s Complete Guide to Chip Carving is an excellent reference as well. I’ve always admired the decorations done with this style. I’m more into relief carving, but after watching the “Chip Carving” episode of season 4 Woodwrights Shop, I’m tempted to try my hand at it. Good luck, and don’t be afraid to make mistakes, it’s how we learn! Can’t wait to see your results. I’ve been wanting to try this (and relief carving) as well. Gotta stay focused on the workbench until I get it finished though. I’m glad to see you’re willing to give chip carving a try. I can help you get off to a great start with your chip carving. Visit the following link to have access to online videos and patterns. https://mychipcarving.com/amember/signup.php. I’ve helped thousands of aspiring chip carvers :-).